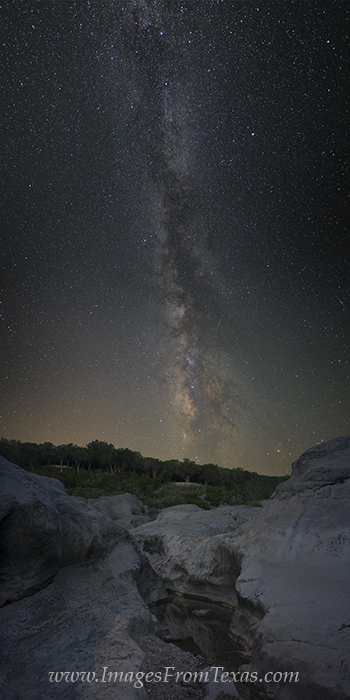 On a clear night in early summer - actually very early in the morning - the Milky Way rises over the Texas Hill Country and Pedernales Falls State Park. This Texas image is comprised of 4 vertically stitched images, giving this photograph the ability to be printed fairly large. The details of the stars and Milky Way add to the mystery of the night sky. Photo © copyright by Rob Greebon.